08:00 AM to 6:00 PM, Monday through Friday except on holidays and during the summer. Morning Star Catholic School is a non-profit school for elementary and junior high age children from all faiths who struggle with learning. 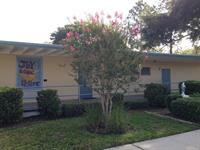 Morning Star School serves students with these and other challenges: Specific Learning Disabilities; Speech and Language Disorders; Dyslexia, Dysgraphia, Dyspraxia, Dyscalculia; ADHD; Executive Function Disorder; Autism Spectrum Disorder and other learning challenges. Morning Star School has been in existence since 1958 and has a proven, specialized education program for children who learn differently. Special Education Instructors and school staff work closely with families, therapists and other providers to help each child experience greater success. 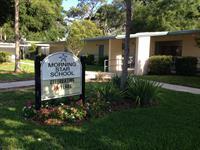 Morning Star also offers an Extended Day program that is open from the end of the school day until 6:00 PM. 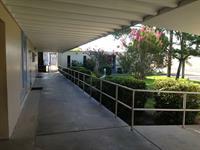 Ancillary services are offered onsite including Speech Therapy, Occupational Therapy and Tutoring. Near the corner of Florida Avenue and East Linebaugh Avenue, next to Most Holy Redeemer Catholic Church.